A ghost kitchen or restaurant is a foodservice operation that is meant for delivery only. These businesses have eliminated the dining room and there are no take out options. These are delivery only businesses and work in conjunction with the many online food delivery services available today. Sale of food consumed outside of restaurants can account for 45% of its sales (35% to go, 10% catering). There are big opportunites to make this large segment of business more efficient with some creative thinking. At peak times, delivery and catering increase traffic in existing restaurants with lobbies getting backed up with delivery drivers. PREP gives companies the opportunity to offload this traffic into a dedicated commissary kitchen. Real Estate and construction costs are at an all time high and the cost of moving into commissary kitchens is minimal. Have you Millennialized? PREP has. Baby Boomers have shaped our lives and economy, being the largest economic group in the US with numbers up to 74 million. In 2019, Millennials are expected to surpass this number. Businesses must re-focus their marketing and appeal to this demographic if they are to stay relevant. This includes a need to customize menu options, provide ultimate convenience, healthful, well sourced, unprocessed foods, high quality yet affordable, & offer coupons. A UBS study has shown that more than 1/2 of Millennials will switch brands for a cents off coupon. PREP offers a testing environment for national brands that are trying to learn how to take advantage of new consumer trends as well as onsite procurement options to streamline the process. Society as a whole is currently time deprived and looking for convenience. – Millennials and Boomers are showing a growing appetite for having food delivered at home, a new frontier for many restaurants. UBS reports that this is a $35 bn segment today, about to grow to $365 bn by 2030. Where do you want to put your money? 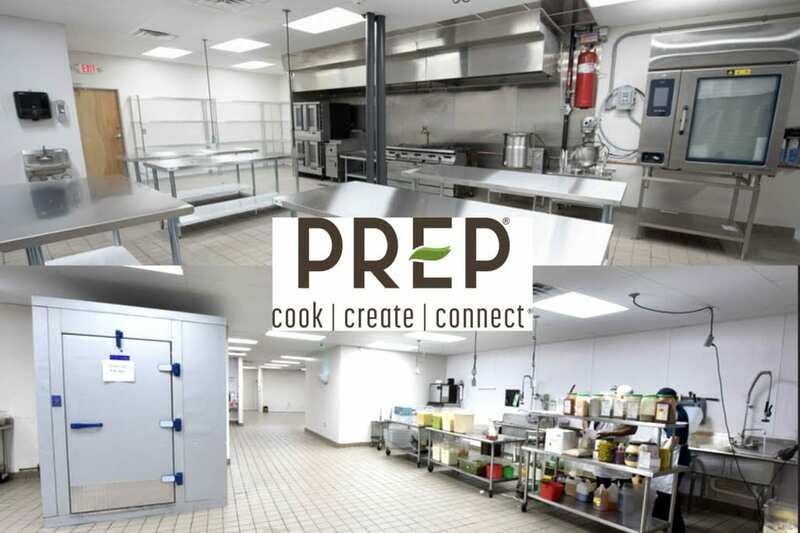 Private Kitchens are available, however Kitchen sharing options begin at $25.00 per hour for food companies and entrepreneurs who want the test the waters of a new concept before making any large commitments. A Shared kitchen provides all equipment necessary, bring your food and small wares and begin cooking! Changing with the times. Shifts in consumer preferences have brought about a need for spaces that we never anticipated when we began planning this project in 2010. Our first 36,000 sf expansion in 2017 was to give entrepreneurs an opportunity to have their own kitchen. We now host more than 20 meal and food delivery companies. PREP is beginning construction on another sf building with kitchen spaces bringing the total sf of the PREP campus to more than 80,000 sf. 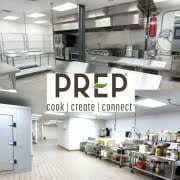 PREP provides Permit and license ready kitchens under the Health Department, FDA, Department of Agriculture, and USDA. PREP will navigate the web of federal and local regulations so you don’t have to.